USES: This combination of vitamins provides vitamin B-6, vitamin B-12 and folic acid to people who do not have enough of these vitamins for good health. HOW TO USE: Take this medication by mouth with or without food, usually once daily or as directed by your doctor. If stomach upset occurs, it may help to take this product with food. Use this medication regularly in order to get the most benefit from it. To help you remember, use it at the same time each day. The dosage is based on your medical condition and response to therapy. 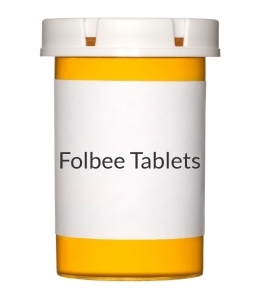 SIDE EFFECTS: Nausea, stomach upset, diarrhea, drowsiness, flushing, and numbness/tingling may occur. If any of these effects persist or worsen, notify your doctor or pharmacist promptly. If your doctor has prescribed this medication, remember that he or she has judged that the benefit to you is greater than the risk of side effects. Many people using this medication do not have serious side effects. Tell your doctor immediately if any of these unlikely but serious side effects occur: mental/mood changes, unusual weakness. A very serious allergic reaction to this product is unlikely, but seek immediate medical attention if it occurs. Symptoms of a serious allergic reaction may include: rash, itching/swelling (especially of the face/tongue/throat), severe dizziness, trouble breathing. This is not a complete list of possible side effects. If you notice other effects not listed above, contact your doctor or pharmacist. In the US - Call your doctor for medical advice about side effects. You may report side effects to FDA at 1-800-FDA-1088. In Canada - Call your doctor for medical advice about side effects. You may report side effects to Health Canada at 1-866-234-2345. PRECAUTIONS: Before taking this medication, tell your doctor or pharmacist if you are allergic to it; or if you have any other allergies. This product may contain inactive ingredients, which can cause allergic reactions or other problems. Talk to your pharmacist for more details. Before taking this medication, tell your doctor or pharmacist your medical history, especially of: certain blood disorders (e.g., pernicious anemia, other anemias). This drug may make you drowsy. Do not drive, use machinery, or do any activity that requires alertness until you are sure you can perform such activities safely. Limit alcoholic beverages. This medication should be used only when clearly needed during pregnancy. Discuss the risks and benefits with your doctor. This medication passes into breast milk. Consult your doctor before breast-feeding. DRUG INTERACTIONS: Your healthcare professionals (e.g., doctor or pharmacist) may already be aware of any possible drug interactions and may be monitoring you for it. Do not start, stop or change the dosage of any medicine before checking with them first. This product should not be used with the following medications because very serious interactions may occur: altretamine, cisplatin, levodopa (when used without carbidopa). If you are currently using any of these medications, tell your doctor or pharmacist before starting this medication. Before using this product, tell your doctor or pharmacist of all prescription and nonprescription/herbal products you may use, especially of: folic acid antagonist (e.g., methotrexate), hydantoins (e.g., phenytoin, diphenylhydantoin), pyrimethamine, other vitamin/nutritional supplements. This product can affect the results of certain lab tests (e.g., intrinsic factor antibodies, certain urobilinogen tests). Make sure laboratory personnel and your doctors know you use this drug. This document does not contain all possible interactions. Therefore, before using this product, tell your doctor or pharmacist of all the products you use. Keep a list of all your medications with you, and share the list with your doctor and pharmacist. NOTES: Do not share this medication with others. Laboratory and/or medical tests (e.g., complete blood count, homocysteine levels) may be performed from time to time to monitor your progress or check for side effects. Consult your doctor for more details. Remember that it is best to get your vitamins and minerals from healthy foods. Maintain a well-balanced diet and follow any dietary guidelines as directed by your doctor. B vitamins, including folic acid, are naturally found in leafy greens, other vegetables, and citrus fruits. Folic acid is also found in enriched grains such as bread, pasta and cereal. Some brands of this medication may also contain ingredients such as vitamin E, para-aminobenzoic acid, or alpha-lipoic acid. Consult your doctor or pharmacist if you have questions about the ingredients in your brand.